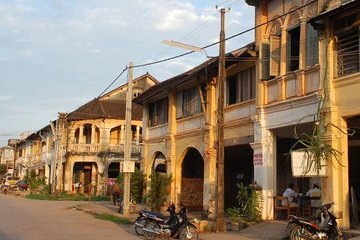 Catch a glimpse of the glory days of the French colonial period in Cambodia. This tour will take you up to the summit of mystical Bokor Mountain, where you can discover abandoned but hauntingly beautiful old buildings from a glorious distant past. The buildings may look dilapidated but the magnificent views and sense of awe are still there. A short walk in historical Kampot town followed by a private river cruise will round off this trip nicely.